The metaphor of being comfortable with throwing your phone around, will be used to illustrate becoming too comfortable in the relationships you have with people. Like any other, the relationship we embark on with a new phone is one which starts off heated. As we strip the protective plastic it comes shipped in, we inspect every corner, we marvel at its sleekness, and we feel as if we’ve attained a new superpower. This is the phone that’ll enable us to discover, it’ll enable us to connect, and it’ll be there during times when we’re alone. The newest models get more beautiful as the years go by, and their abilities to connect continue to top the models prior. The relationships we have with our phones are symbiotic, beautiful, and rewarding. Six months – or maybe a year – go by, and the relationship morphs a little bit. The phones we so carefully cherished upon purchase, now turn into our simple servants. We use them, and maybe even exploit them. We become quick in navigating them, effective at troubleshooting them, and annoyed when they don’t execute our commands. They lose their beauty as time goes by, even though they retain their function. Our thankfulness and awe is no longer secreted every time the animation plays after we unlock. We’ve gotten used to the bigger screen we once wanted, and became unphased by the faster speeds we once needed. A marker of a changed relationship with our phone is our act of tossing it onto soft surfaces. The world around us consists of some soft surfaces surrounded by hard ones. Aiming at any soft surface poses with it risk. Phones are slippery and they slide off. Our aim whilst throwing things isn’t perfect, and we may hit the bed frame rather than the bed itself. This tendency to risk more with our phones, in exchange for comfort, often comes after the honeymoon phase ends. You’re likely not to start throwing your phone around on the first day that you get it. It’s an expensive, valuable, piece of technology. We cherish our phones when we first get them, and protect them from the elements as best we can. Even though not all relationships are romantic, every relationship seems to go through a honeymoon phase. 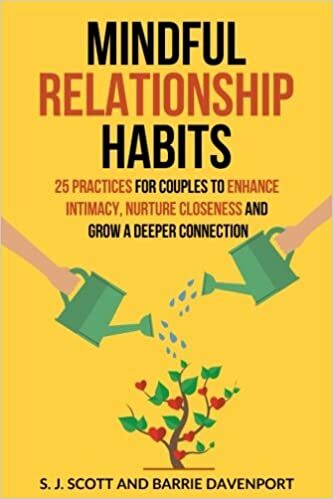 We’re often, at some level, enamored by people we have interest in developing a longer relationship with. You’ve likely felt excitement in the early stages of a friendship. Like a box of mystery with a pleasant cover over it, we become excited to discover what they know, share our story, and develop a strong bond. Just like with our phones however, our friends lose their early glow in our eyes too. We often start taking their presence for granted, and start introducing risk into our interactions with them. A trigger is often responsible for ending the honeymoon phase. Akin to dropping a phone once then starting to be comfortable in tossing it around soon after, there are certain triggers in relationships which gives us an excuse to be more comfortable with the individual in question. As our comfort level reaches a point of diminishing returns, we are more susceptible to say something we didn’t mean, or to make a joke which hurts feelings more than it elicits laughter. We’re more likely to ignore our friend’s texts, with the expectation that they’ll be there when we text back later. Since your friend is not a phone, they’ll be susceptible to getting too comfortable around you too. This combined level of developed comfort can lead to uncomfortable efforts to re-balance what’s been shifted out of balance. You can get into disputes, long spells of ignoring one another, and fall into cycles of envy driven by your respective prides. It seems that a positive thing to refresh our memories with, is to remember the time when we were enamored by our friends, significant others, and family. Take time to remember the early days of your relationship with people. Notice how you focused more on what benefits they brought to the table, rather than taking those for granted and being annoyed by their unpleasant traits. Remember the times you respected how they express themselves, how they deal with others, and how they interacted with you. Don’t just remember the early days, but remember your interpretation of those days too. Make it a point to be honest with how you felt about your new friendship or relationship with another individual. A good way to practice remembering the sights and sounds of our relationships, is to look at your phone, and fall into the trance you were in when you first unboxed it. Remember it brand new. Become marveled at the screen that illuminates your face in bed. Be amazed at how well it extends your conscious thoughts into the digital realm. Observe the timeline of your relationship with it, and how its been there – by your side – all along. Most importantly, in the name of not allowing your sense of comfort to destroy your relationship with it, stop throwing it around.